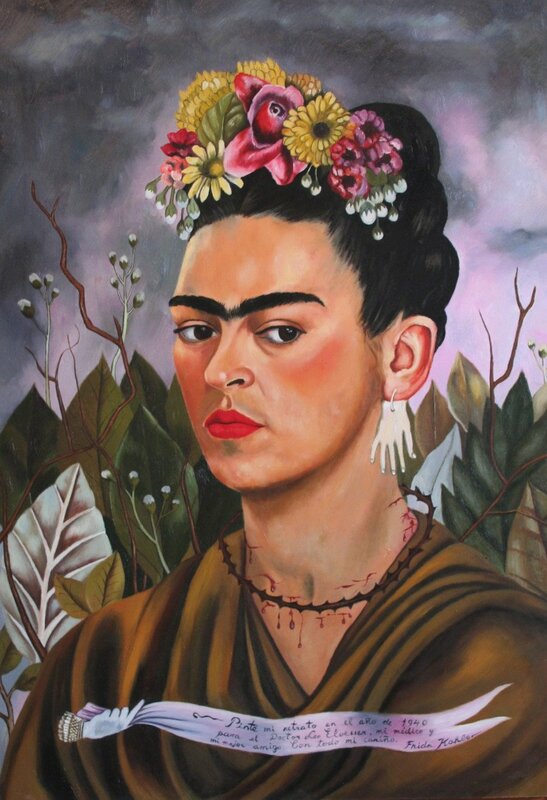 Frida Kahlo’s garden and studio will be recreated at the New York Botanical Garden in 2015. Frida Kahlo: Art, Garden, Life will be the late artist’s first solo show in New York for more than 25 years. The exhibition will include original paintings by the Mexican artist which reflect the use of botanical imagery in her work. Frida Kahlo, who died 60 years ago, remains best known for her searing self-portraits and her use of intense, vibrant colors. The exhibition follows a similar project at the New York Botanical Garden in 2012 which re-imagined Claude Monet’s flower and water gardens at Giverny. The Kahlo show, which opens on May 16 and runs to November, will see the Botanical Garden’s Enid A Haupt Conservatory transformed into Frida Kahlo’s family home Casa Azul (The Blue House). It will recreate the blue courtyard walls, a scale version of a pyramid created to display pre-Columbian art collected by her husband, muralist Diego Rivera, and frida Kahlo’s studio. There will also be a lava rock path lined with native flowers from Mexico. Frida Kahlo lived her entire life, from 1907 to 1954, in the cobalt-blue house in Coyoacan, outside Mexico City. She began to paint in 1925 while recovering from a bus accident that left her in constant pain and permanently disabled, leading to more than 30 operations. Frida Kahlo’s inclusion of plants and nature in her work spans her entire career, but was most intensive during the 1940s and ’50s when her health declined and she was increasingly confined to her home.